Organising a Christmas party may sound exciting but let's be honest, sometimes it's more than a little bit stressful, especially when you've left it to the last minute. But never fear, there are still some brilliant venues available for a fantastic festive shindig if you think outside the box a little. Thankfully, the Venue Expert Team is here to help. With these five unique venues, it's never been easier or more rewarding to plan and execute your Christmas party, with a few weeks to spare. 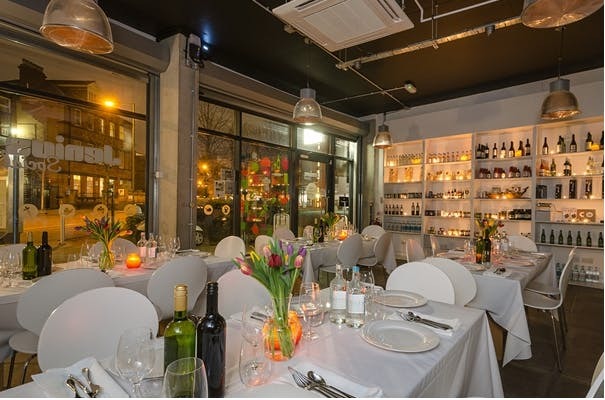 Located in Islington, Jenius Social is a stylish, modern blank canvas space that is just waiting to be transformed for your Christmas party. The venue is known for its social (it's in the name) approach to events, offering interactive activities for any occasion, usually centred around food, thanks to its state-of-the-art kitchen. This festive season, you can choose from a number of packages to create a Christmas party to remember. You can join together with your colleagues to cook up your own festive feast, or leave the dinner to the pros and bake some delicious mince pies or gingerbread men while you wait. We may not like to admit it but it's safe to say 'beer pong' is a guilty pleasure of many of us out there. Now, Sink Pong has given us a legitimate place to pretend we're in an Amerian sorority/fraternity, drink from big red cups and practice our aim. 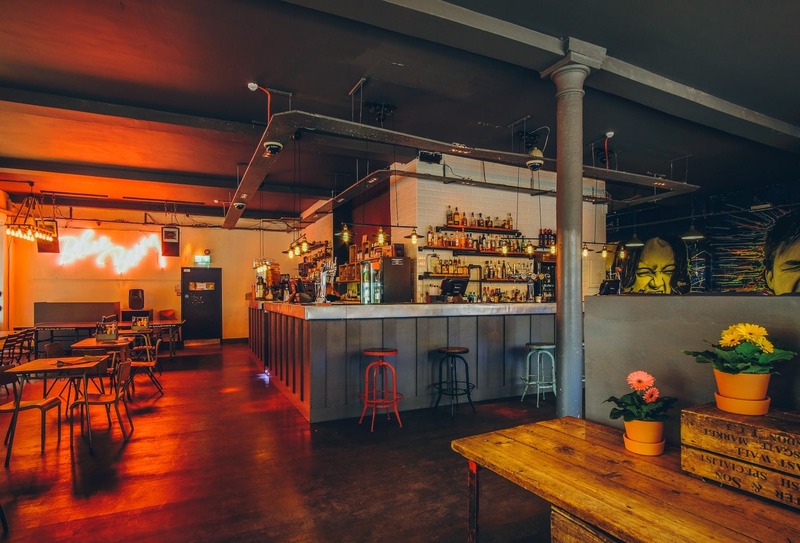 There are two spaces available to hire for your Xmas knees-up, the main bar is perfect for smaller functions or the recently refurbed function room upstairs can be privately hired and transformed into the Christmas party you've been imagining. There are also varying catering options depending on the type of party you're aiming for, from three-course dinners to canapes and drinks packages. Oh, and if beer pong isn't your thing, they've got traditional ping pong available too and plenty of space for dancing (no skills necessary). 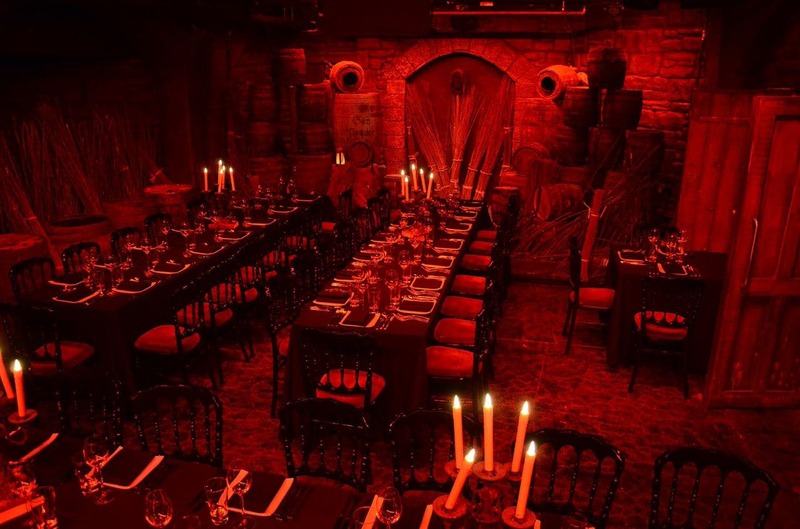 It's doesn't get much more unique than an immersive dining tour of the London Dungeon, particularly if you're not a fan of the candy-cane fluffiness of the festive season. Food by Dish has developed a frightfully brilliant '7 Deadly Sins' themed menu that goes alongside a live-action tour of the venue; the very definition of an alternative way to celebrate. The tour includes four alcoholic beverages and seven deadly themed food offerings to enjoy as you experience 'Drop Dead: Drop Ride to Doom' and a visit to the Dungeon Tavern, where you can dance and drink the night away, Victorian Christmas-style. Do something good this festive season with the help of Good Hotel. 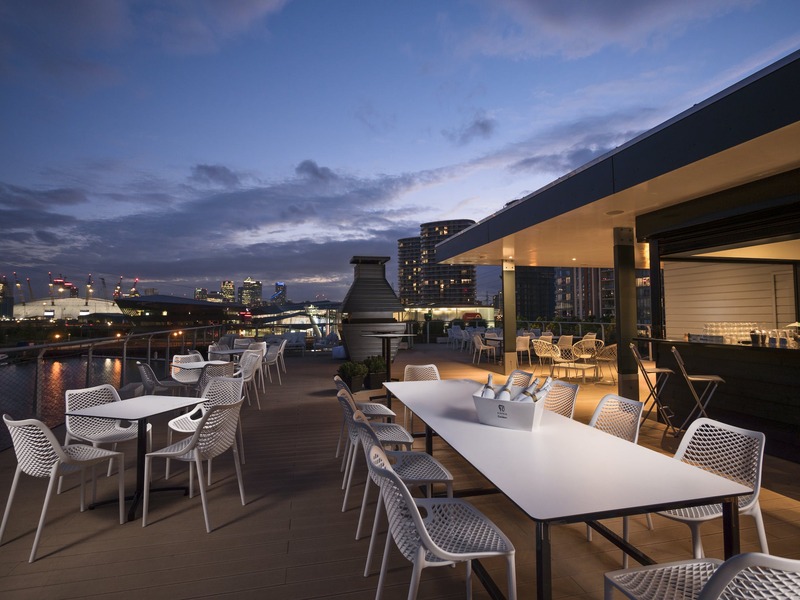 The hotel is a floating vessel that is currently located at London's Royal Victoria Dock but was transported by barge from its original home in Amsterdam. So far, so unique right? Well, the venue also has a social conscious, it gives hospitality training to long-term unemployed people in the communittee, followed by experience working at the hotel. They also source all their labour and produce from the local area and are a 'profit for non-profit organisation'. So, you can really feel good about holding your Christmas event here. And the best part, you don't even need to go home, you can book one of their cosy rooms to rest your weary head after a night of celebration. Looking for a Christmas party totally centred around wine? We present to you, The Tasting Room. 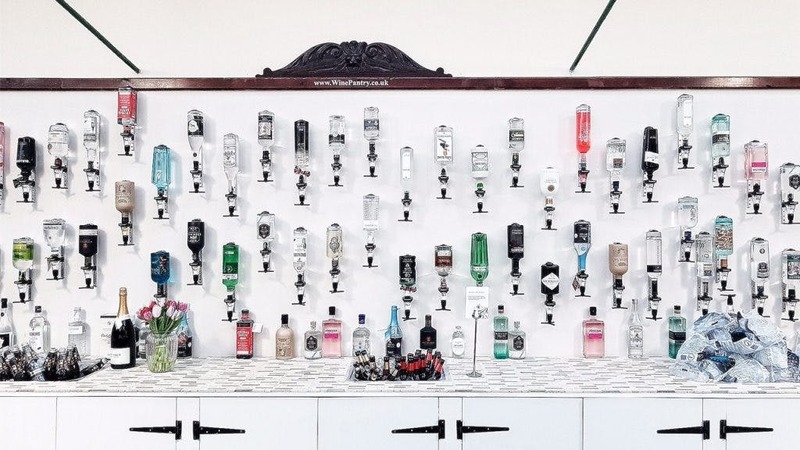 The Tasting Room was created by the Wine Pantry, who are dedicated to promoting how brilliant English wine and British spirits can be. With beautiful period features of cast iron supports and the Georgian wire cast glass roof, it's a lovely space for up to 100 people for a drinks reception right in the heart of Borough Market. The venue is flexible and can be hired as a blank space and you can even bring your own catering. But where The Tasting Room really excels is in its tasting events (who'd have thought?!). 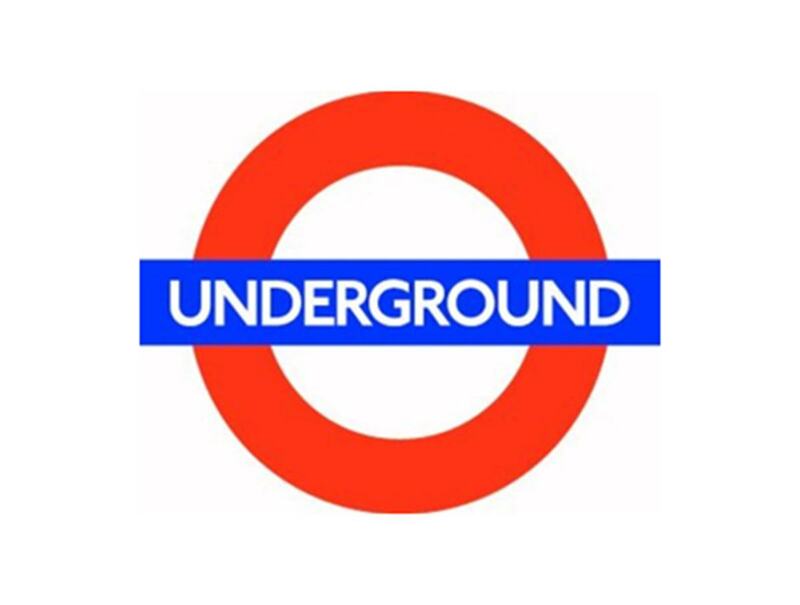 Kick off your celebration in style with a wine or spirits tasting that showcases the best of British produce and accompany it with a selection of food from their partners at Borough Market. Foodies assemble, this one's for you. You can enquire for any of these festive venues directly through the site but if you need a bit more help drop us an email on contact@hirespace.com or visit hirespace.com to browse more fantastic venues.